A monthly subscription box is a great way to discover new products and brands, or receive goodies for your passions and hobbies. But searching for great subscription boxes that ship from within, or to the UK, can be tiresome. Cratejoy's subscription box marketplace has a great selection of thoughtfully curated boxes that deliver fun and inspire new passions. We’ve done the work for you, and gathered together some of the most popular subscription boxes for UK shoppers, showcasing everything from stationery boxes and book subscriptions, to tea of the month clubs and mystery puzzle boxes. All of the boxes below either ship worldwide or offer free delivery to those within the UK. 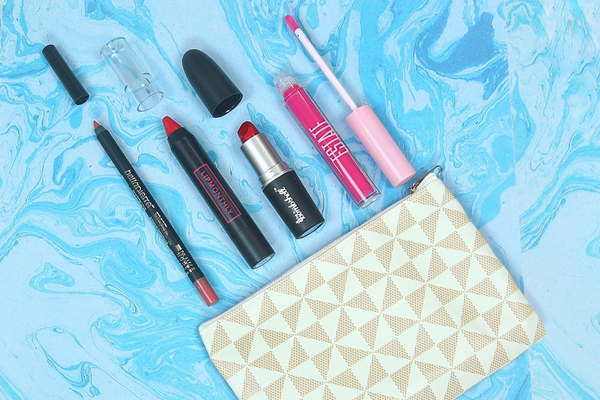 Have a look for yourself at some of the top UK subscription boxes and we’re sure you’ll find something that strikes your fancy. What's Included: Everyone’s favorite way to bring wizarding magic to the doorstep, GeekGear is a monthly subscription for lovers of all things Harry Potter and Fantastic Beasts. Bringing 6-10 exclusively licensed products in every box, fans unpack exciting collectibles, wall art, postcards and an exclusively designed tee every month. What's Included: What’s better than kicking back with a good book? Doing so while sipping a hot beverage and munching on a delicious chocolate treat, of course. Available in 2 box sizes, Bookfulness is a subscription that offers a perfect afternoon, sending 1 new book from a chosen genre, along with a relaxing hot drink and tasty chocolate. What's Included: Bookishly offers 3 unique book subscriptions designed to bring classic reads each month. The Tea & Vintage Book Club sends 1 pre-loved classic book, beautiful stationery and a luxurious cuppa. Prefer coffee? The Coffee & Vintage Book Club delivers 1 classic and 1 bag of delicious ground coffee. And, the Classic Book of the Month Club brings 1 new copy of a classic in an exclusively designed cover, along with tea to sip while reading! What's Included: A box perfect for avid readers, The Bookishly Classic Book Crate specializes in sending 1 piece of classic literature, that arrives in style with a cover designed exclusively for subscribers. With many of the included elements designed in-house, every box is a delight to open. From art prints and mugs, to candles and tasty treats, each time-honored book arrives with a mix of themed gift items. What's Included: Boxed Locks is a monthly subscription game where the devil is really in the details. Each box is carefully designed to provide a fun challenge involving puzzles, props and clues that all lead to a code that unlocks the final box. A veritable workout for the brain, the game is suitable for adults and children over 10 years old. What's Included: Highlighting the work of a different artist each month, Papergang is a fun-filled stationery box. With 5-8 items in every box, this subscription sends out charming paper goods perfect for those who enjoy sending snail mail or who love having a desk full of cute supplies. From stationery and greeting cards, to pens and art prints, enjoy exclusive designs each month. What's Included: Boxcitement is a monthly subscription dedicated to delivering a box full of colourful, stylish fun. Great for anyone who loves to play with bold patterns and fun prints, each month’s box brings 6-7 exclusively designed items, including stationery, greeting cards, art prints, home decor items, and unique handmade jewellry. Featuring artisans from the UK, each box is guaranteed to be an original! What's Included: For those who want to tuck into a meal that’s been kicked up a notch (or 10), the goods inside the Flaming Licks monthly hot sauce box pack a powerfully spicy punch. Available in 3 different subscription levels, unbox an award-winning hot sauce, artisanal small-batch spicy treats, confections and condiments curated exclusively from UK producers. What's Included: Send a monthly dose of happiness in the post with the STICKII Club subscription box. It’s a box that really knows how to cover all the bases - in colourful happy stickers! Available in Cute, Retro or Pop options, each month delivers 5 or more stylized sheets of stickers, a bag of sticker flakes and sometimes a surprise extra, just because. What's Included: Proud to be the largest personalised book subscription service in the UK, The Willoughby Book Club delivers 1 brand new book, hand selected to match the unique reading tastes of each subscriber. A great gift for readers of all ages, each book arrives beautifully wrapped in the club’s signature packaging. And to pay the joy forward, a book is donated to charity with each subscription purchase. What's Included: Here’s a subscription that’s calling all crafty spirits! Creative fun awaits with each delivery of the Emma Jewell Crafts Box. Get in the mood for making each month with at least 15 items in every box, from ephemera and supplies, to tools, odd bits and pieces, hand-mixed glitter and sequins, and a Mini mag filled with craft ideas. Dive right into on-trend themes and inspiration to get crafty. What's Included: Wild Woman is a monthly subscription box that’s designed specifically for adventurous women who prefer to get outside. One of the best UK subscription boxes, each monthly package comes filled with 4-8 high-quality items including natural body products, healthy on-the-go snacks, gear and tools, just what’s needed for the next trek into the great outdoors. What's Included: Uniquely different from other game subscriptions, Escape the Crate is a bi-monthly subscription that creates an at-home escape room adventure. Gather friends and family together and put some game faces on, then set out to conquer the challenge in every box. Work together to decode ciphers and solve riddles and puzzles until a historical mystery is unraveled and an escape is made. What's Included: As happiness is an essential component of personal wellbeing, the TheraBox monthly self-care subscription is designed to bring more of it into day-to-day life. 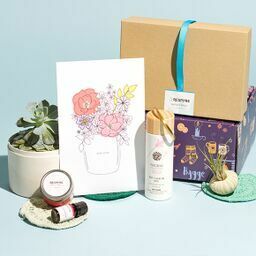 Thoughtfully curated by therapists who aspire to spread delight, each box features 5-7 mindfully selected treats to help calm the mind and inspire joy, including aromatherapy, organic skincare and bath products, sweet treats and calming teas. What's Included: One of many great UK subscription boxes for men, TOPPBOX brings the barber shop right to the front door every month. A premium grooming box for men, each box is filled with 4-5 travel- and full-size items including skincare and hair styling products. Get a great shave or maintain an envious beard with a mix of top-shelf products each month. What's Included: The Cake Tasting Club is ready to serve up handmade, fresh-baked cakes each month. With 2 dessert subscription levels available, the Cake for One brings 2 mini cakes to enjoy solo, and The Classic Box delivers 1 cake, 2 brownies and biscuits or cookies, sending enough to share with that special someone! Each month features new flavors, all made of the finest ingredients. What's Included: Every woman dreams of getting the opportunity for a lie in to catch up on some beauty sleep. So, whilst that’s not always a possibility, the Natural Wellness Box delivers health-promoting items and quality me-time every other month. Featuring 5-8 products, from superfoods and snacks, to high-end beauty products and calming essential oils, get a refresh inside and out. 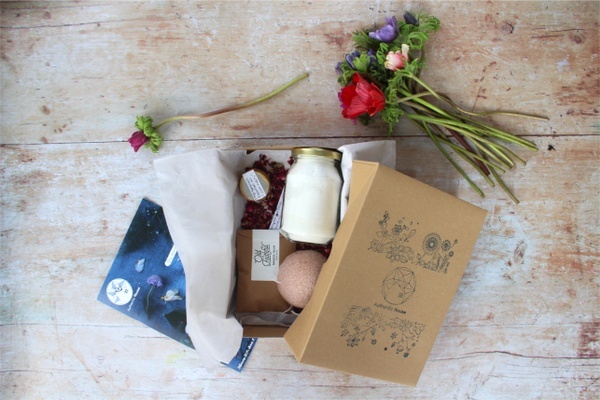 What's Included: Featuring contemporary craft ideas, the Makerly Crafts monthly subscription is the perfect box for sophisticated crafters. Curated by artists and designers to bring new ideas, each month’s box is an all-inclusive DIY kit bringing 1 craft project, with all the necessary instructions, materials, patterns, and any other special tool or equipment that’s needed. What's Included: Feel like the Queen with luxury lingerie packed into Empress Mimi. With a range of boxes for any budget, each month’s box brings fine lingerie and luxe sleepwear. Choose to get just 1 pair of frillies, or go for a box brimming with a lingerie set, plus loungewear, accessories, and both nice and naughty gift items. Each box is guaranteed to pack a chic surprise! What's Included: Tea lovers who enjoy a good read will find the Simple Loose Leaf Tea box simply sublime. Available in either regular or decaf, each box contains 40g of high-quality loose-leaf tea including a black and green tea, an herbal tea and a seasonal treat. Sit back with a real page-turner and enjoy each delicious sip packed into this monthly subscription. Didn’t see the subscription box for you? Maybe you’ll fancy these! 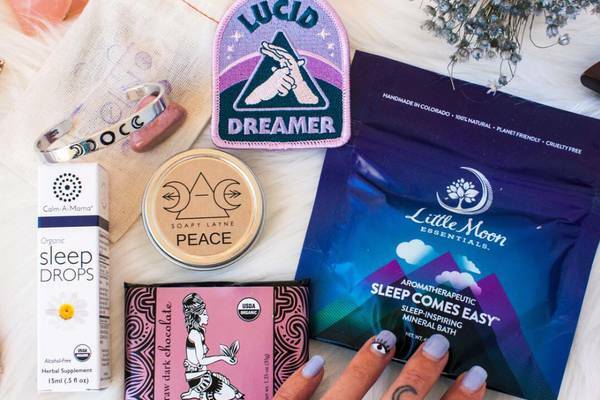 20 Best Subscription Boxes for Women to Try Now!